Hello, my name is Charles and I’m here to review Dragon Quest Heroes: The World Tree’s Woe & the Blight Below for the PlayStation 4. This game’s story takes place throughout the entire kingdom of Arba. The locations in this game consist of the Royal kingdom of Arba, the Scientific town of Caliburgh, the Desert town of Colissea, The Elven Forest of Sylvea, the Dwarven stronghold of Grannet, the Fortress/AirShip “StoneCloud” and the World Tree “Yggdrasil”. In this game, you can play through the story as either the fiery, tacticianal hero Luceus or the icy, bold heroine Aurora. 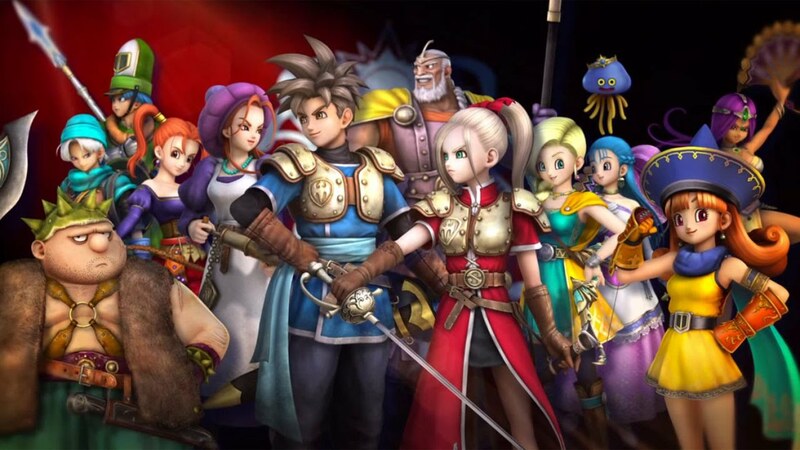 The protagonists in this game consist of Luceus (Main Hero/Captain)(Dragon Quest-Heroes)(Swords & Shields), Aurora (Main Heroine/Captain)(Dragon Quest-Heroes)(Rapiers & Shields), Doric (King of Arba/the Royal Rumbler)(Dragon Quest-Heroes)(Staffs), Isla (Inventor)(Dragon Quest-Heroes)(Boomerangs), Kiryl (Priest/Soldier)(Dragon Quest-IV)(Spears), Alena (Princess/Martial Artist)(Dragon Quest-IV)(Gauntlets), Terry (the World’s Greatest Swordsman)(Dragon Quest-VI)(Swords & Shields), Yangus (the Legendary Bandit turned Hero)(Dragon Quest-VIII)(Axes), Jessica (Sorceress)(Dragon Quest-VIII)(Whips), Bianca (Archer)(Dragon Quest-V)(Bows & Arrows), Nera (Sorceress/Debutante)(Dragon Quest-V)(Wands), Maya (Dancer/Sorceress)(Dragon Quest-IV)(Dual Fans) and Psaro (Warrior)(Dragon Quest-IV)(GreatSwords). The antagonists in this game consist of Velasco (Main Villain/Sorcerer)(Dragon Quest-Heroes)(Staff) and Shadroth (Main Villain/Lord of the Night)(Dragon Quest-Heroes)(Demon Sorcery). In conclusion, I’ve learned from this game that believing in the light of all things good also in turn encourages us to never give hope nor to never give up on others. Only then will we forever drive away the deepest darkness of both hatred and despair.